Today’s business challenges present a new wave of HR, talent and organization priorities. Deloitte Consulting’s Human Capital services leverage research, analytics and industry insights to help improve our clients’ organizational results and impact by focusing on challenges at the intersection of business and people. Would you like to work for an organization committed to your professional development and personal success? 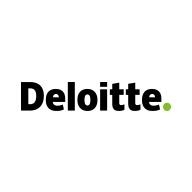 Deloitte Consulting offers an award-winning culture that supports our employees’ development of their personal brand through learning opportunities, professional experiences, inclusion, collaboration and personal well-being.